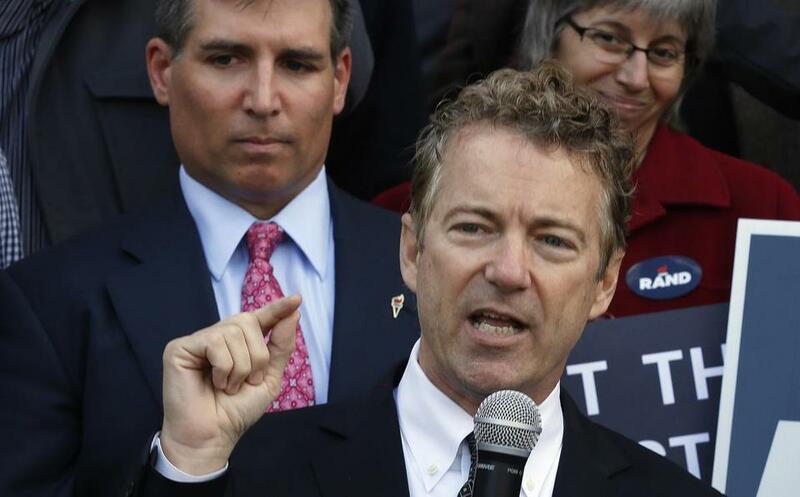 Republican presidential candidate, Sen. Rand Paul, R-Ky., spoke to supporters. Terrorist attacks in Paris killed more than 100 people across the city, including the slaughter of hostages in the Bataclan theater, shootings at restaurants and a suicide bomb near a stadium. Paul called the attacks “devastating” in response to a question from a reporter after his town hall meeting. “I don’t think we’ve heard yet everything but obviously our hearts and prayers go out to those that were injured and those who may be kidnapped at this point, but it does show that we’ve really got a big problem,” he said. “People talk about the large influx of people leaving the Middle East, going to Europe and some of them wanting to go to the United States, that it may not be a benign thing to accept so many tens of thousands of people coming from the Middle East because many of them actually wish us harm,” he continued. The Islamic State has claimed responsibility for the Paris attacks. Earlier, at his town hall meeting, Paul reiterated his opposition to US intervention in the Middle East. He also answered questions about immigration reform, tax reform, and the size of the federal government. Earlier this week, during the GOP debate, the Kentuckian was called an “isolationist” by US Senator Marco Rubio. Paul, who has referred to himself the only “true fiscal conservative” in the race, said he opposed US intervention because wars are too expensive. Many in the audience approved of what they described as Paul’s authenticity. Recent polls of the New Hampshire GOP primary have shown Paul with around 3 percent of the vote. The Associated Press contributed to this report. Dan Blomquist can be reached at mrblomquin@gmail.com.